This practical training experience is available to students who are members or will become a member and are enrolled in at least the third year of an undergraduate university program or are graduate students. If you’re a young professional, you must be in the first two years of paid employment in the performing arts field. Jay Sheehan and Cary Gillett, coauthors of “The Production Manager’s Toolkit” have been a part of the fulfilling program for years. “It’s the best week of the year, by far,” Jay said. 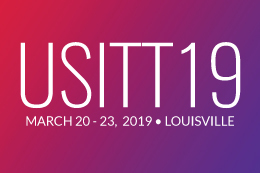 Preparing their mentees for future careers is a highlight the pair looks forward to at USITT each year. 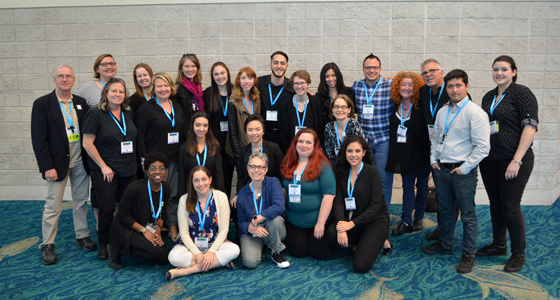 “USITT is a really wonderful opportunity to give back and to really challenge and inspire the next generation of people and that’s more and more why I come to USITT — to be a part of SMMP,” Cary said. Jay finds his love of students and the familiar vibe creates an ideal setting for fostering mentorship. The SMMP experience extends far beyond the Conference. The skills you take away are evergreen and the relationship-building and networking prove to be helpful in finding a career and excelling at it. Interested in joining your fellow stage managers and making USITT come to life? You mentors are waiting. Apply here.